Friedrich Plumpe, known professionally as F.W. 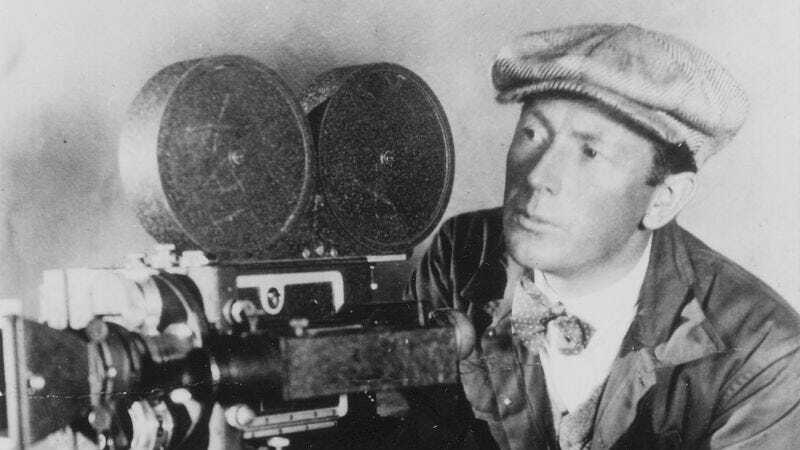 Murnau, was one of the great artists of the late silent era, producing a string of masterpieces in Germany and America—most famously Nosferatu, The Last Laugh, and Sunrise—before his untimely death in 1931, at age 42. Murnau’s death occurred under murky circumstances—his Rolls Royce was being driven by a 14-year-old boy when it slammed into a light pole outside of Santa Barbara—leading to decades of speculation and rumor. Today, the story of Murnau’s death gets a little bit weirder: Der Spiegel is reporting that someone has broken into the Plumpe family crypt outside Berlin and stolen the director’s head. It is unknown how or when the perpetrators gained access to the tomb, though, notably, the coffins of the director’s brothers Robert and Bernhard were not disturbed. The Plumpe crypt is located in Südwestkirchhof Stahnsdorf, a large woodland cemetery known for its mausolea and dense forestation. According to local police, the break-in was first noticed on Monday morning. This is not the first time that someone has broken into the crypt, and, at present, the cemetery’s administrators are weighing whether to permanently seal the tomb or to bury the director’s body separately from the rest of his family to prevent further vandalism. Police have reportedly found wax drippings at the scene, suggesting either a ritualistic element, or that Murnau’s head was stolen by old-timey grave robbers by candlelight.